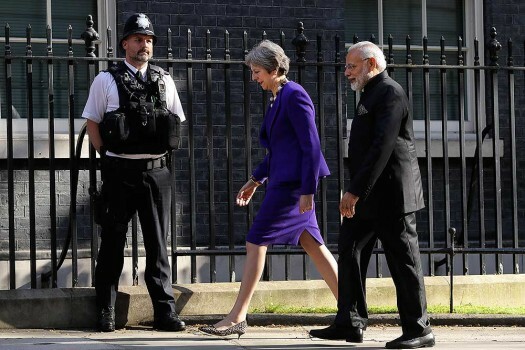 Britain's Prime Minister Theresa May and the Prime Minister Narendra Modi walk past a policeman as they meet in Downing Street, ahead of talks in London. 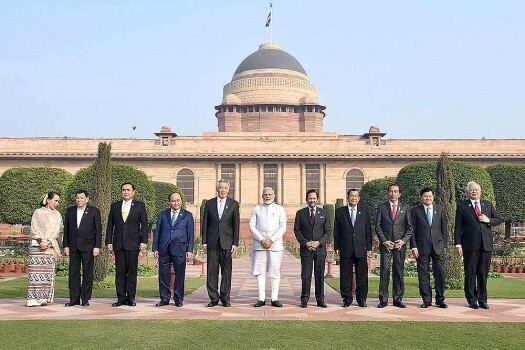 Prime Minister Narendra Modi with the ASEAN Heads of State/Governments at Rashtrapati Bhavan, in New Delhi. 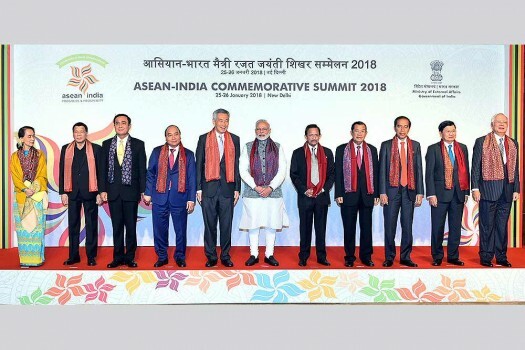 Prime Minister Narendra Modi with the ASEAN Heads of State / Governments and ASEAN Secretary General at the ASEAN India Commemorative Summit, in New Delhi. 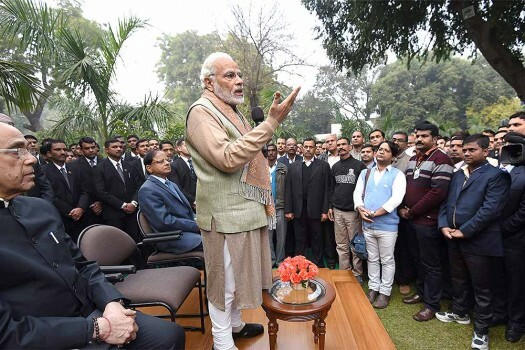 Prime Minister Narendra Modi meets and exchanges new year greetings with the PMO officials and SPG personnel, at Lok Kalyan Marg, in New Delhi. 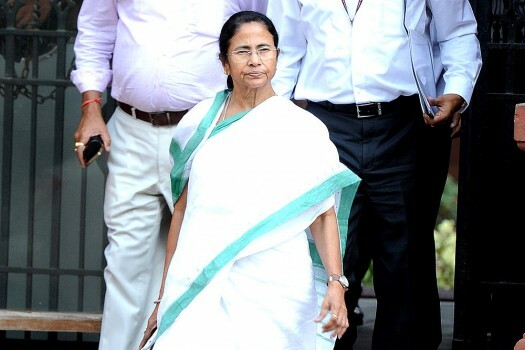 West Bengal Chief Minister Mamata Banerjee outside PMO after meeting Prime Minister Narendra Modi, in New Delhi. Tamil Nadu farmers, protesting at Jantar Mantar, protest naked outside the Prime Minister’s Office in North Block against farmer suicides, in New Delhi. Nripendra Misra, Principal Secretary to the Prime Minister at Parliament house during the budget session, in New Delhi. 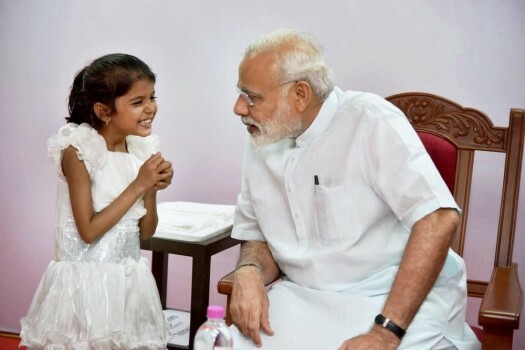 Prime Minister Narendra Modi interacts with Vaishali whose heart surgery was funded by the PMO after she wrote to him seeking help, in Pune. 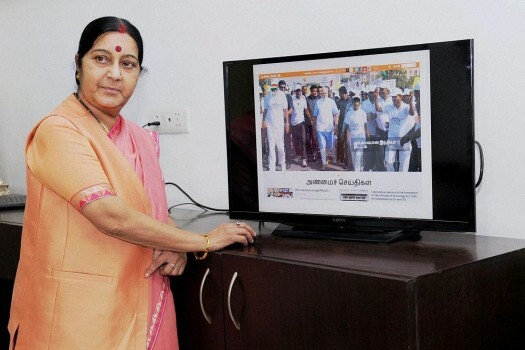 Union Minister for External Affairs Sushma Swaraj launching the PMO India Multi-Lingual website, in New Delhi. 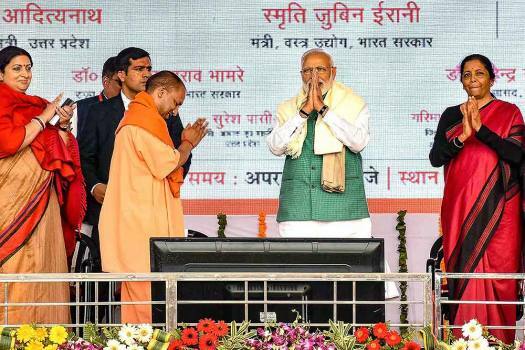 PM Narendra Modi posted a photo on Twitter saying: Met my young friend, Maryam Asif Siddiqui, winner of Bhagavad Gita Champion League organised by ISKCON. 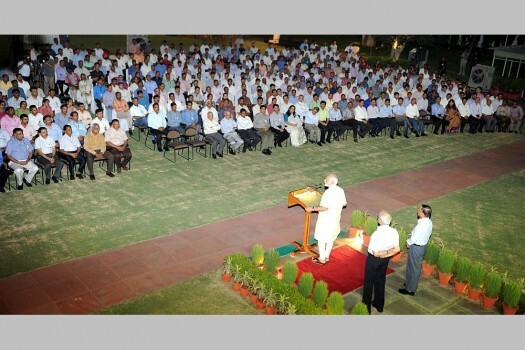 Prime Minister Narendra Modi meeting the entire PMO family, at RCR lawns, in New Delhi. 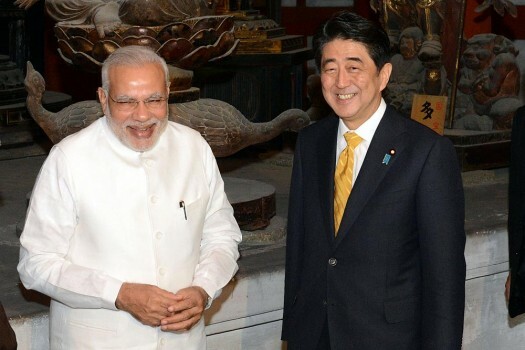 Mumbai-based activist Anil Galgali had filed an RTI query with the PMO requesting the details of the expenses incurred on the foreign as well as domestic visits of Prime Minister Narendra Modi. 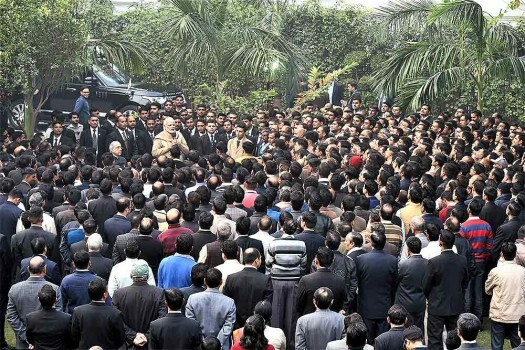 Top security and intelligence officials were in a huddle earlier in the day at the prime minister's office in the wake of fresh developments that followed India's airstrike at a Jaish-e-Mohammed training camp in Pakistan. The Congress President also said that former French President François Hollande has admitted that he was made to choose Anil Ambani by PM Modi himself. 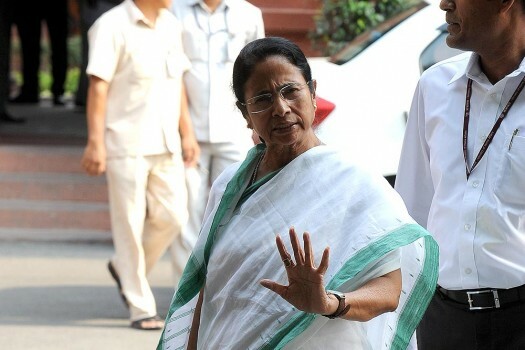 The report says that the French side took advantage of parallel parleys by the PMO that weakened Indian team’s position. "In fact it's so famous it has no jury, has never been given out before & is backed by an unheard of Aligarh company. Event Partners: Patanjali & Republic TV :)," Gandhi added. 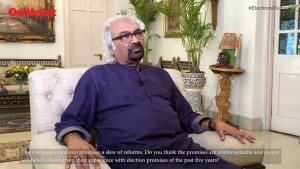 The survey comes amid an opposition attempt to forge an alliance against the BJP ahead of the national elections. 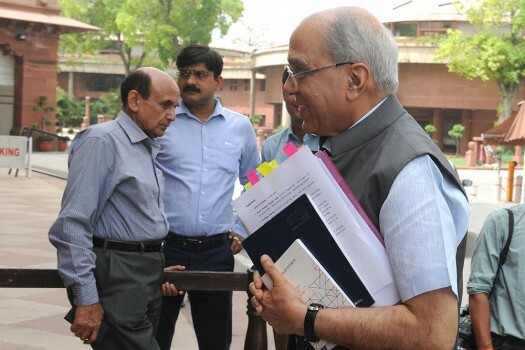 The clarification followed a NITI Aayog report 'Strategy for New India @75', in which it had proposed to reduce the upper age limit for the civil services to "27 years for the General Category in a phased manner by 2022-23". Rescuers had to get help from comedian Shafaat Ali to mimic Prime Minister Imran Khan and persuade the man to climb down the mobile phone tower after he threatened to commit suicide. 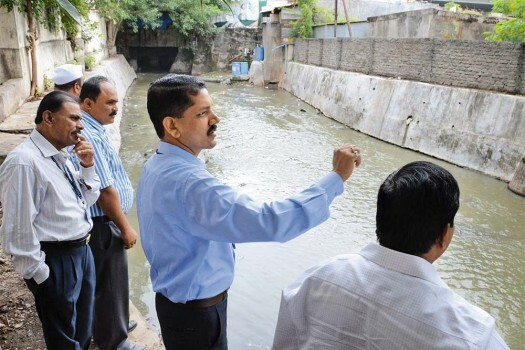 Congress Bureau Of Investigations, Contd. So Who Transcribed The PM's Q&A?